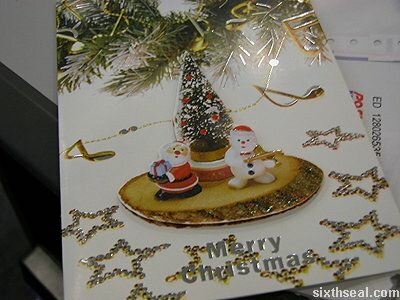 I just received a Christmas card from my girlfriend. 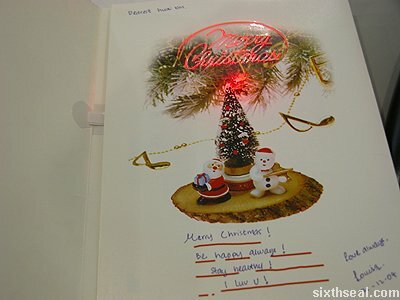 It’s one of the ones that plays a tune when the circuit is completed, er…I mean, when the card is opened. It flashes and muzak starts playing. Thanks Louisa! I also got a bundle from one of my coworkers. His girlfriend wrapped the intricate ribbon tied package. 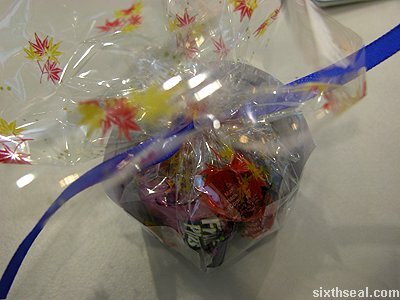 It contains various sweets. Cheers Jordan! booked my tickets today, on a waiting list for the 6th of February.